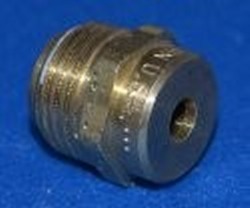 Antidrain valve, aka, Auto Drain, aka Freeze Drain valve. Holds pressure while the system is on, but when the system turns off it'll open up to drain the system. Of course it should be located at the lowest point in the system and all flow paths will need to drain to it to completely empty the system. (BRASS) Works great in misting systems.